Julie Whitesel Weston left her hometown of Kellogg, Idaho, but eventually it pulled her back. 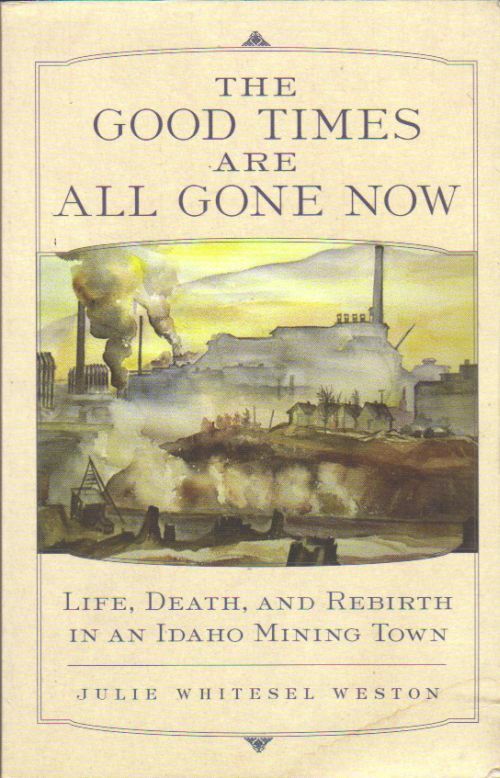 Only when she returned to this mining community in the Idaho Panhandle did she begin to see the paradoxes of the place where she grew up. Her book combines oral history, journalistic investigation, and personal reminiscence to take a fond but hard look at life in Kellogg during "the good times." Kellogg in the late 1940s and fifties was a typical American small town complete with high school football and basketball teams, marching band, and anti-Communist clubs; yet its bars, gambling dens, and brothels were entrenched holdovers from a rowdier frontier past. The Bunker Hill Mining Company, the largest employer, paid miners good wages for difficult, dangerous work, while the quest for lead, silver, and zinc denuded the mountainsides and laced the soil and water with contaminants. 2009 paperback. Some moisture to lower 1.5-2" of front cover left some warp, but does not affect readability. Previous owner's name in ink on first page, otherwise clean and unmarked. Sound binding.